Japanese women are known worldwide for their youthful looks. The thing is rice is not just a staple ingredient in Japanese cuisine. It’s also one of the main ingredients for skin and face care among Japanese women. Records say that Japanese women have benefited from the amazing skin healing properties of rice for centuries. It’s even been scientifically proved that application of rice bran powder, rice bran oil and rice water on your skin can improve your complexion and help you get rid of dark spots. Moreover, rice can improve the quality of your diet as a result of its rich antioxidant content. Rice is abundant in linoleic acid and squalene, a strong antioxidant which has the ability to stimulate collagen production in the skin. It is a natural substance which can protect your skin from premature aging and prevent the incidence of wrinkles. Also, it protects your skin from damage caused by sun exposure. Furthermore, rice is loaded with vitamin E and gamma oryzol, which are able to reduce the cholesterol levels in the blood and protect your heart health. Many people, however, do not know that rice has the ability to restore the youthful appearance of your skin, making it soft and silky. 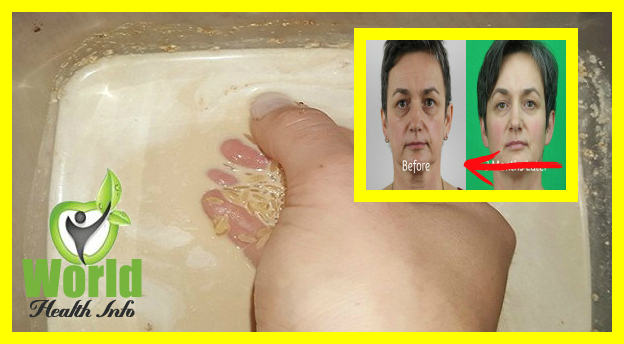 Here is a rice based recipe for preparation of anti-wrinkle mask that will give you smooth and glowing skin. Once your rice is boiled, strain it and separate the water in which the rice boiled. Add one spoon of heated milk in the rice and mix well. Finally, add honey. First, clean your face thoroughly and apply the mask on dry skin. Let it act for a while, until it`s completely dry. Then, remove the mask and wash your face with the rice water. Rice water acts as a skin moisturizer which can improve circulation, prevent aging spots and reduce inflammation. The healing properties of rice water will give you pure and well-nourished skin. It also has mild sun protective effects. For optimal results, repeat the procedure once a week. Your face will look ten years younger.